Save time and money on designing Facebook cover photos. 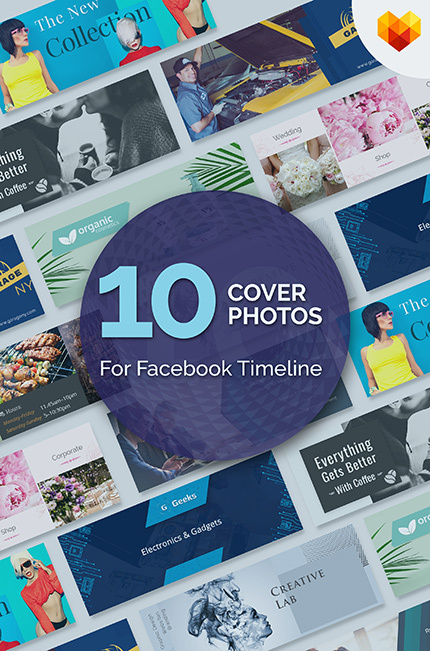 Download 10 fully-editable Facebook cover photos for: coffee shop, grill bar, showroom, floral design agency, auto service, creative design agency, travel agency, consulting business, cosmetics shop, electronics and gadgets. The PSD files are well-organized and easy to edit. Grab them now to create amazing facebook timeline pictures!